How Amazon Has Transformed the Retail Sector Where Can AI Make a Business Impact? Is Digital Distraction Killing Your Company’s Productivity? 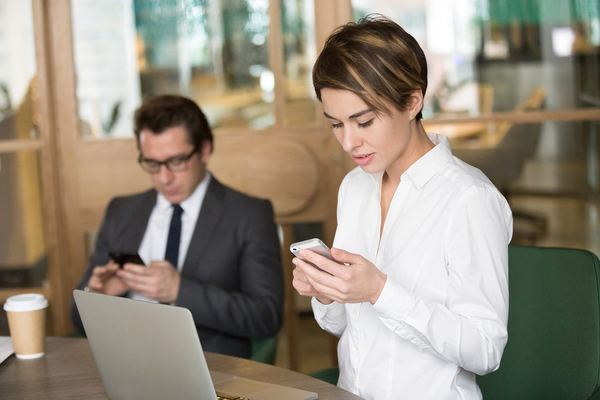 From laptops to smart phones and from e-mail to texts, digital devices and their associated messages may be impeding workers’ ability to focus and communicate. In fact, the Information Overload Research Group, a nonprofit, estimates that U.S. workers spend up to a quarter of their time simply dealing with data streams from various devices, including PCs and laptops, as reported by the Harvard Business Review. But work-related problems with digital information streams aren’t just about the time spent wrangling the data. An entire set of problems center around digital distraction — the colleagues who check their smartphone during a business meeting, or the one who interrupts a conversation about upcoming deadlines to answer the phone — and makes you wait while an entirely different situation is dealt with by phone. Increasingly, digital distraction is viewed not as a way to keep on top of the stream, but as an interruption in roughly the same way as beginning a conversation with Person B when Person A is talking to you. How can digital distraction in the workplace be dealt with? A recent Harvard Business Review suggests the following 3 steps. Checking phones during a meeting is digital distraction. Once upon a time, multitasking was a buzzword and looked upon favorably as a sign people were getting work done at optimal speed. No longer. In fact, data show that multitasking has a negative impact on people’s ability to focus and to take in information. In fact, more recent data indicates that even the presence of a cell phone has a deleterious effect on focus. So if your colleagues are tempted to use the multitasking defense, communicate this data. Multitasking takes people away from focus, it doesn’t enhance it. Be sure to point this out at the appropriate time, of course. Right after someone has answered their phone or responded to a text in the middle of a presentation simply shames the perpetrator. Choose neutral ground and a neutral time, and then set up the groundwork. The issue should also be handled directly with people who have been distracted in your presence. This may be tough; only 10% of people who report themselves annoyed by distracted behavior say they actually talk to the perpetrator. But, as the HBR points out, part of shifting norms in the workplace is done by people being willing to speak up. Again, an actual incident of distraction shouldn’t be the immediate trigger for discussion. The person is likely to get defensive. Choose a neutral time and note that you see distraction in the workplace growing. Make it clear that it’s not a good path. A discussion of how digital distraction should not be happening in the workplace needs to be mutual. Frame avoidance of digital distraction as something everyone needs to do. In other words, make it clear that you won’t answer a phone/text when someone else is discussing an important topic, and that no one should. The goal is shared norms on digital distraction. A comprehensive commitment on the part of more and more people in the workplace is the best way to solve the issue. Are Remote Employees Less Engaged? What Office Perk Do Employees Want the Most? When Is Teamwork Really Important?